The course will be led by friendly, qualified coaches and helpers from Bexhill Runners & Triathletes. Although the aim will be to work towards completing a 5km in 10 weeks there will be no pressure to do so. All abilities will be catered for at the sessions and you will be encouraged all the way. You will not be running for a whole hour. There will be a stretch/warm-up period, the main run/walk section, a cool down stretch and plenty of time for questions and answers. You will be advised to practice what you have learnt in your own time, however, although we know you will be extremely enthusiastic, doing too much too soon can lead to injury. Please stick to the guidelines and listen to your body. A comfortable, supportive pair of trainers is the most important piece of kit. If you already have these that’s great. If not we would recommend going to a reputable running shop to be properly fitted. Local shops include: Core Running shop in Hastings, Tempo Running shop in Eastbourne, The Tri Store in Eastbourne and the Jog Shop in Brighton. They will have a range of makes and prices. Loose fitting lightweight jogging trousers, running tights, capri leggings or shorts depending upon the weather. For the top half thin layers are best. A top made from wicking/sport fabric which moves moisture away from the body will be more comfortable than a cotton T-shirt but not essential. Again wear what is comfortable. Look out for offers from local supermarkets Lidl and Aldi, their running products are perfectly adequate as a starter and very reasonably priced. If it is a cold evening a thin gilet or rain jacket may be useful. However, you will soon warm up. For the ladies a good supportive sports bra is essential for comfort. Please bring water (a plastic bottle is best) to sip from during the session. You will be asked to complete a health/registration form at the first session so please bring a next of kin/ emergency contact number with you. 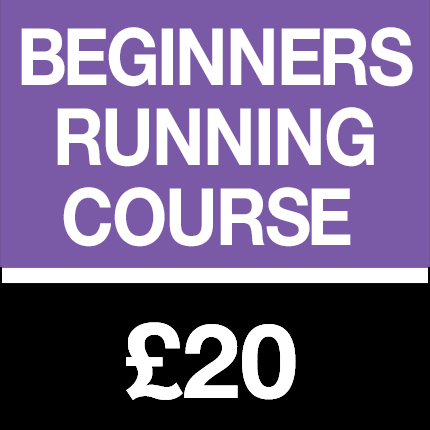 The cost of the 10 week course is a bargain price of £20. Payment can be made below. 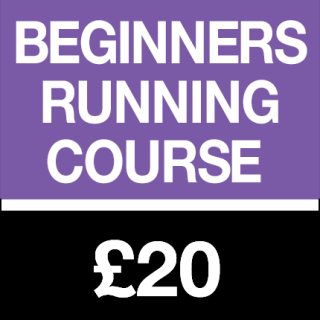 Payment for Beginners Run Course (10 Weeks) Starting 6th March 2019.